Three of our members joined Achieve Results, which is a 6 week program with wellness tools and strategies to help participants break barriers and successfully achieve real results. 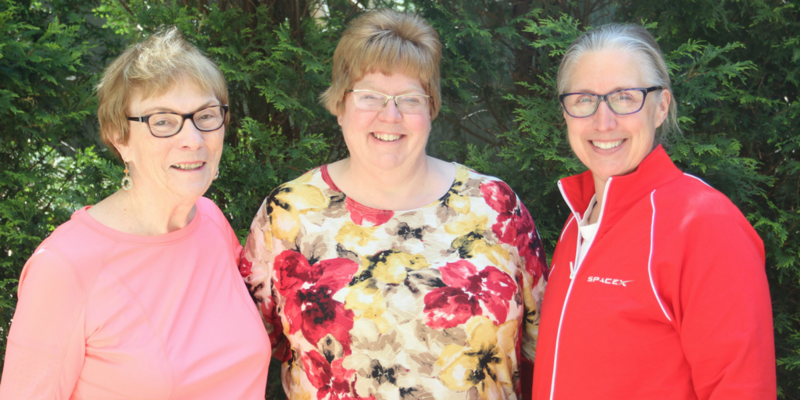 April, Karen and Deanna tell us about the impact the program had on their daily lives. April found value in Achieve Results as she became more mindful. She used to lose track of time watching television on the couch, whereas she now will watch a 30 minute show and then get up and move. She reports being more deliberate about making healthy eating choices and working out at the DAHLC 5-6 days a week. She felt that the program group had really bonded as a team as they would listen to each other’s successes week by week and encourage one another through it all. In addition, Bridget, a Health & Wellness Coach, was a critical piece of the program as she led the group and used her expert coaching skills to make it a positive and meaningful experience. Karen became more organized in her life as she de-cluttered her spaces and tuned into her spiritual life. She became more mindful of helping others and volunteering. She also developed a greater sense of how to make improvements in her life and how to use her time more wisely, especially when she was at the DAHLC. Deanna became more mindful throughout her experience in Achieve Results. She learned how to make better choices in nutrition and started tracking her calories since she lives a very busy life with teenagers still in the house. Another great benefit for Deanna is that she learned how her thoughts, feelings and behaviors work together which helped her understand the importance of having a more positive perspective. She used to think working out was all or nothing, but now she focuses on what she can do rather than on what she did not accomplish. She has already lost 16 pounds and continues to maintain her healthier lifestyle due to Achieve Results as well as the TOOLS for Weight Loss program. She credits much of her success to the support received in the Achieve Results program and from her family and co-workers. We are so grateful that you ladies have experienced lasting positive change from Achieve Results and that you shared it with us. Keep it up! Learn more about Achieve Results and how you can reach the goals you set out to do! Or, read other Member Success stories.